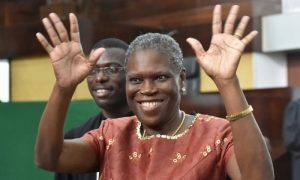 Former First Lady Simone Gbagbo was one of 800 political detainees granted amnesty by President Alassane Ouattara early in August. Ouattara was installed in power during April 2011 by the previous colonial power of France with a mandate from the western imperialist governments and their allies in the West Africa region. Reports indicate that some 3,000 people died as a direct result of internecine violence over a dispute surrounding the national elections held in 2010. The French, United States and others supported Ouattara leaving Ivorian Popular Front (PFI) leaders President Laurent Gbagbo and his wife Simone as targets of the paratroopers from Paris. The couple along with other PFI leaders took refuge in an Abidjan hotel which was raided by French soldiers taking the leadership of the government into custody. 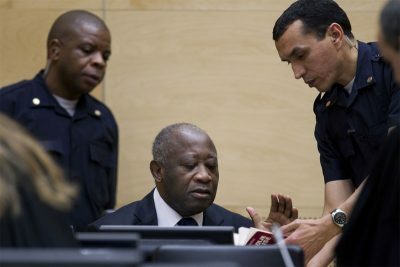 Former President Gbagbo was put on an airplane and sent to the Netherlands under the jurisdiction of the controversial and dreaded International Criminal Court (ICC). 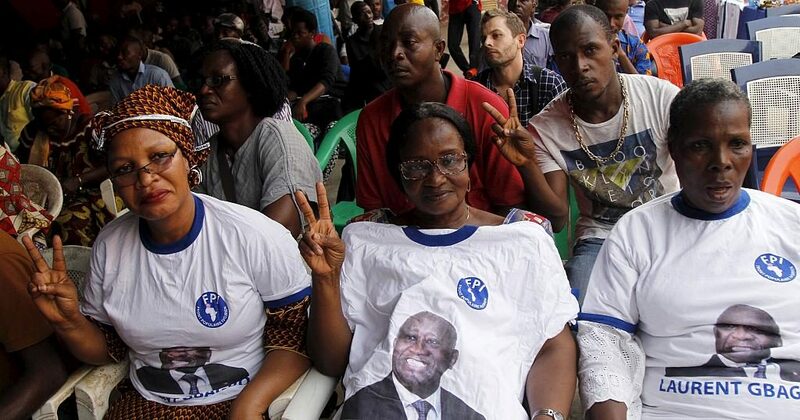 Simone Gbagbo (image on the right) was held under the custody of the neo-colonial Ouattara regime in Abidjan where she was put on trial by people who obviously had a vested interest in her long-term imprisonment. 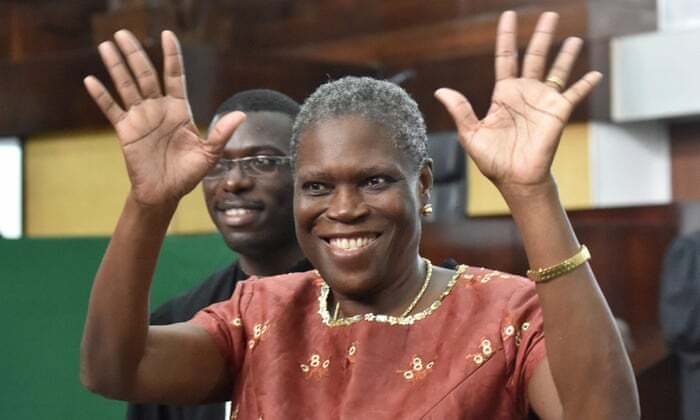 The prosecution of the former first lady in such a politically charged atmosphere where the Ouattara regime sought to punish those who took a stand against French imperialist intervention during 2010-2011, led to the conviction of Simone Gbagbo who was given a 20 year prison sentence. Despite these legal developments a ban of supporters of the PFI continued to demand the release of the former president and the first lady. Some seven years have passed where today there is only a tenuous façade of normalcy prevailing. Ouattara is prohibited from running for another term in office and the former International Monetary Fund (IMF) functionary is tasked with creating the conditions for the continuation of the status quo. A key element of the broader society as exemplified within the Catholic Church took a position which advocated some form of national reconciliation. After the granting of amnesty, Father Donald Zagore, a priest of the Society of African Missions, issued a statement expressing satisfaction that Ouattara had moved in the direction releasing political prisoners. The political parties and coalitions backing both the former President Gbagbo and incumbent Ouattara have fractured leaving wide open the trajectory of the country. Earlier in August, the leader of the Democratic Party of Ivory Coast (PDCI), former President Henri Konan Bedie, announced that he would not remain in the alliance with Ouattara’s Rally of the Republicans (RDR) after the president proposed to constitute the governing coalition known as the Rally of Houphouetists for Democracy and Peace (RHDP) into one party. The PDCI indicated that it would contest local and regional elections scheduled in October on its own or form alliances with other political forces in the country. The dispute appears to be over who will succeed Ouattara in 2020. Both parties within the RHDP want to select their own respective candidates to run for the presidency in two years. Meanwhile the Ivorian Popular Front (FPI) founded by Gbagbo has split over the question of leadership in the party. Gbagbo was elected as head of one faction with overwhelming support. The other wing of the FPI whose leader is former Prime Minister Pascal Affi Guesson, is in conflict with Abdoudramane Sangare, a staunch ally of Gbagbo. If these internal divisions are not resolved there is the possibility of two different candidates running for the presidency on behalf of the FPI in 2020. Another aspect of the Ivorian political crisis is the role of the security forces particularly within the military. There have been several mutinies by army personnel over the last three years which threatened the overall stability of the country. Soldiers rebelled demanding that promised bonuses from the Ouattara regime be paid in full. The military consists of professionally trained soldiers and former rebels which sided with the French-backed RDR during the conflict over the outcome of the 2010 elections. There have been interventions by the military in Ivorian politics in the past most notably in 1999 when the soldiers took power opening the way for Ouattara to re-enter the country. A civil war erupted in 2002 where the country was divided between the North and the South. Questions of nationality and political rights led to sharp divisions within the political landscape and the military. The North of Ivory Coast is predominately Muslim where politicians disagreed over whether certain ethnic groups have full voting and participatory guarantees. These conflicts arose after the death of long-time President Felix Houphouet-Biogny who ruled the country from the time of independence in 1960 to the early 1990s. Houphouet-Biogny maintained a close relationship with the former colonial power of France. The country was often praised by the western imperialists as a model for post-colonial development due to its rejection of any form of socialist-orientation. A similar pattern has emerged since 2011 when France with the support of the United States administration of former President Barack Obama overthrew Gbagbo and the FPI placing Ouattara in office. Since April 2011, Ivory Coast once again is hailed as an example of phenomenal economic growth in Africa. Western financial publications cite the nine percent annual growth rate as the largest in the West Africa region. Nonetheless, this activity derives from foreign direct investment fostered by transnational corporations and banks on terms favorable to imperialism. Such an approach to development is not sustainable due to the dependent character of the Ivorian national economy. The current situation calls for the resumption of dialogue and negotiations across the political spectrum in Ivory Coast. Moreover, the release of former President Gbagbo and the others held in the Netherlands by the ICC should be a focus of the PFI and other parties as a means to enhance national unity and the realization of genuine economic development and territorial sovereignty.